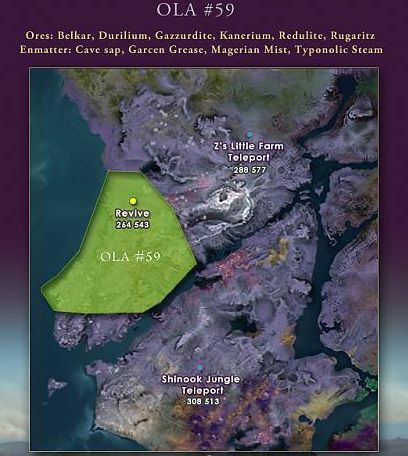 The reports are in that OLA #59 is a great spot to mine!!! Check out the image for resources located there. This is great info--are there more threads or postings about really good mining areas?